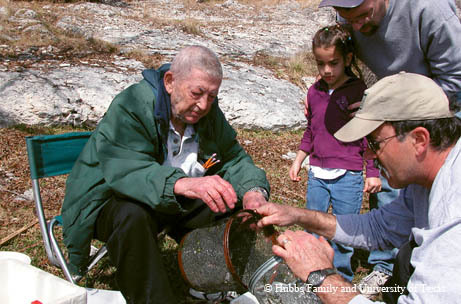 Biologist Clark Hubbs devoted his life to cataloging and protecting the state’s fish species. Hubbs seemed to be immune to the cold. Perhaps Hubbs’ grit was forged during his Army service in World War II, including the invasion of Okinawa. 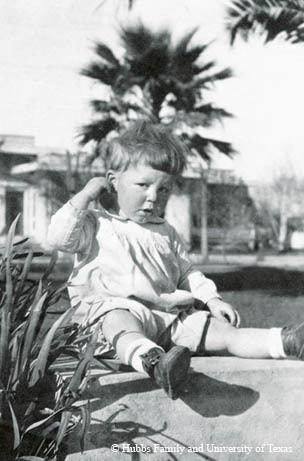 Or maybe in his youth in Michigan, when father Carl Hubbs, himself a famed naturalist and ichthyologist, brought Clark and his siblings along to collect fish, offering $1 for discovering a new species or $5 for a new genus (a lot of money to a young boy in the 1930s). Whatever the origin, the junior Hubbs remained energetic, tough, fiery and determined. 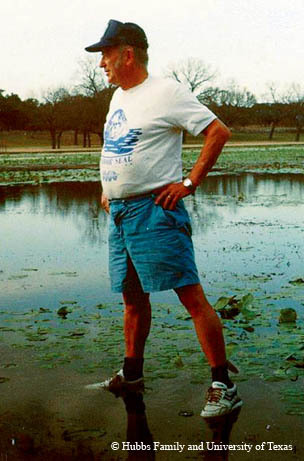 Although the beloved and renowned ichthyologist, a professor emeritus at UT, died in February 2008 at age 87, through his lifelong dedication, he left a true legacy not only to Texas’ conservation and fish biology, but also to the students he deeply inspired, many of whom are hard at work protecting the resources of Texas today. Even I am Hubbs’ “scientific granddaughter,” since Winemiller served on my master’s degree committee in the mid-1990s at Texas A&M University. 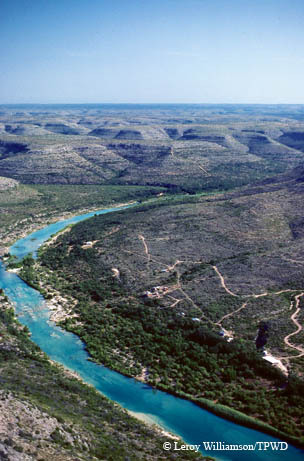 I met Hubbs in 2004 at the Nature Conservancy’s Independence Creek Preserve in West Texas. He sat on a folding chair adjacent to the clear spring headwater, while students gathered fish from traps. As they handed Hubbs the fish, squirming in a net, he looked at the catch briefly before announcing a number for the data sheets: “705.” I understood why his students called them his “Rainman” counts. After his military service, Hubbs began studying for a doctorate at Stanford, where he soon met the love of his life. He and Catherine married in 1949 and had three children. “We were married for just shy of 60 years,” says Catherine, “and they really were full of adventure.” He began teaching at UT soon after their marriage, and was hired as an assistant professor in 1951. His daughter Ann, now a scientist with the Centers for Disease Control and Prevention, recounts her memories. Hubbs studied small stream and spring fish throughout the state, but reserved a special love for West Texas. Desert fish are particularly interesting because the streams endure extremes of heat and cold, salinity, drought and heavy rain. The fish living there have had to adapt to survive in such harsh conditions. Desert fishes rely on spring-fed streams, and Hubbs was troubled that many had run dry. He fought publicly to protect fish and their habitats through politics, scientific research and direct action. He also worked with private landowners, collecting samples and educating the landowners about their native species. “It’s hard for a rancher, who is trying to scrape a living out of the land, to understand a minnow,” says Garrett. Hubbs told landowners that when the fish that have been there for thousands of years start dwindling, something is wrong with the larger system. When Hubbs encountered problems with an endangered or rare fish, he would often take direct action. When sampling at Balmorhea State Park, he realized that the federally endangered Comanche Springs pupfish and Pecos gambusia were clinging to survival in a wide, fast-flowing canal created after the pool was dredged. That habitat was completely unlike the desert wetland where they had evolved. Working with TPWD staff, he diverted water to create a refuge canal for the fish in 1976. In the 1990s, Garrett and others built a more natural cienega (desert wetland) with Hubbs’ guidance. Last year, park staff restored additional habitat near the park entrance. Hubbs served as an expert witness in the landmark Edwards Aquifer lawsuit that resulted in establishing the Edwards Aquifer Authority to ensure adequate spring flows to protect the endangered San Marcos gambusia and fountain darter. He was especially passionate about what he called the “damn right of capture law.” Adopted through a 1904 Texas court case, it says a landowner can pump unlimited groundwater, no matter the effect on any other landowner. Only a few exceptions exist, such as the Edwards Aquifer situation, where excess groundwater depletion endangered a species. It’s a hot potato few want to touch. From his many years of field research, Hubbs founded the UT fish collection, now part of the Texas Natural History Collection. “The specimens provide invaluable and irrefutable data on the condition of the Texas freshwater fish fauna from 1950 through the 1980s when he was collecting,” says Dean Hendrickson, ichthyology curator. Although Hubbs continued his field research, he began releasing most fish back into the wild in later years. One of his last big contributions began many years ago, with its full effects still being realized. Hubbs started publishing The Fishes of Texas checklist in the 1960s. In the 1980s, Garrett and Bob Edwards added more information about each fish. Hubbs dreamed of turning this project into a book and worked on it with others up until his death. Before long, the group realized that the information could better reach the public electronically. The Fishes of Texas Online project was born. “Every fish that has ever been collected from Texas, starting in 1854, they’re all georeferenced, and they have a spot on the map in Google Earth,” says Garrett. But the project goes beyond that. “We’re now developing ecological niche models, where you will be able to put in all the parameters — temperature, rainfall, urbanization, climate change predictions, etc. — and it will not only tell you where these fish are, but also where they probably are that no one has ever collected,” says Garrett. Not only that, the model can also make predictions about what will happen to these different species when we change the environment by doing things like pumping down an aquifer or building new roads. The information will be publicly available online. Along with the many colleagues Hubbs inspired and taught, The Fishes of Texas Online is a lasting legacy truly worthy of his memory.